While Vancouver has its fair share of spin studios, it’s not always easy to make it to a class. But what if the class came to you? That’s the thinking behind Peloton, a high-end stationery bike designed for the home. 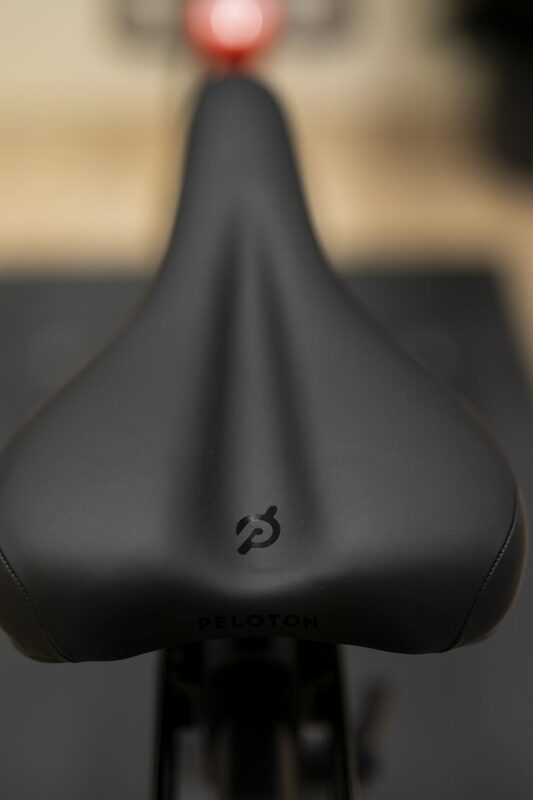 Launched in 2014 in New York, Peloton offers more than just the machine—it lets riders tune in to lessons with the industry’s best instructors via a high-tech screen mounted on the body. 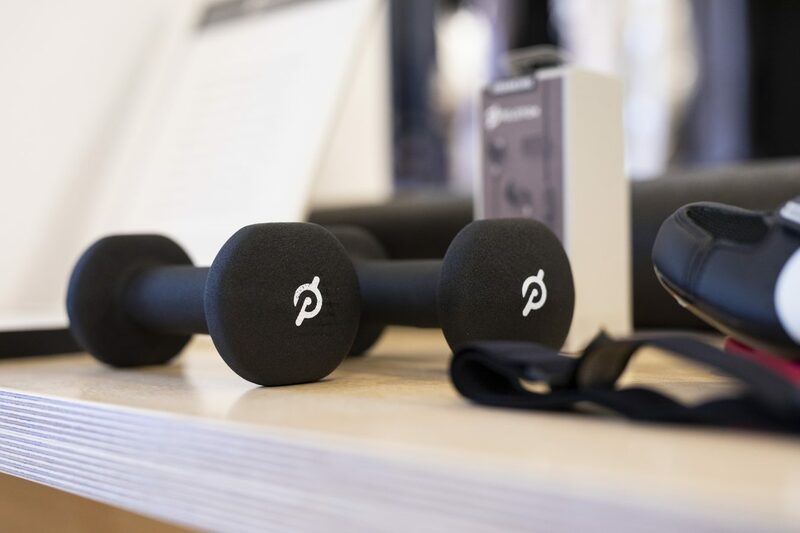 After making waves in the States and opening a showroom in London in September 2018, Peloton is taking on Canada. Launched in October, the brand’s first outpost in the Great White North is found on Toronto’s ritzy Bloor Street; made up of lifestyle vignettes, the space showcases what the sleek, steel-framed bike looks like in just about every corner of a home. Ordered at the showroom or online, the 135-pound bike is delivered with white-glove service (unpacking, inspection, set-up, and disposal of packaging materials). 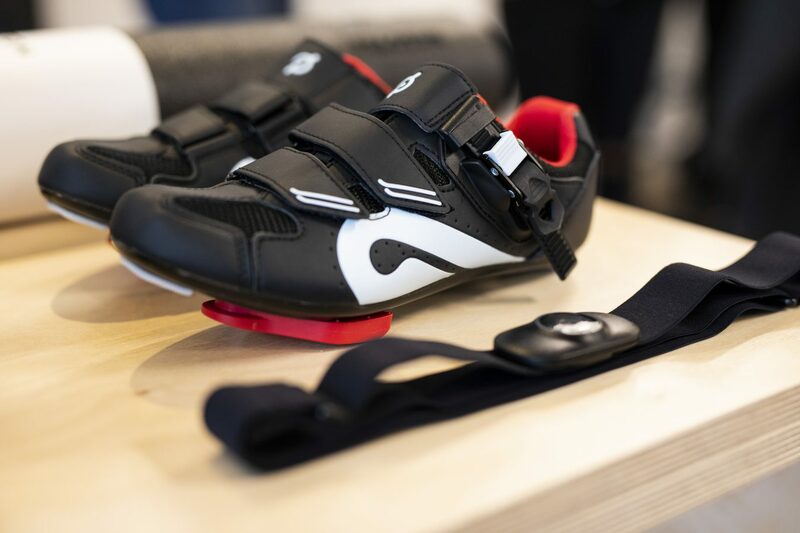 Riders then slip on custom Peloton shoes, pop on headphones, and scroll fingers along the 21.5-inch high-definition touchscreen. There is an on-demand catalogue of 10,000 pre-recorded workouts to choose from including spin, which ranges in duration, music genre, and instructor. There’s also a selection of bootcamp sessions including HITT on and off the bike (grab a mat), strength training with a set of dumbbells, and low-intensity programs like yoga and stretching. “If you look at the engagement of customers—of someone who buys the Peloton at the beginning of the year—94 per cent of them are still riding at the end of the year, and 87 per cent are still riding at the end of two years. So, the retention is super high. That’s because it’s engaging,” says international managing director Kevin Cornils, who flew to Toronto for the opening. 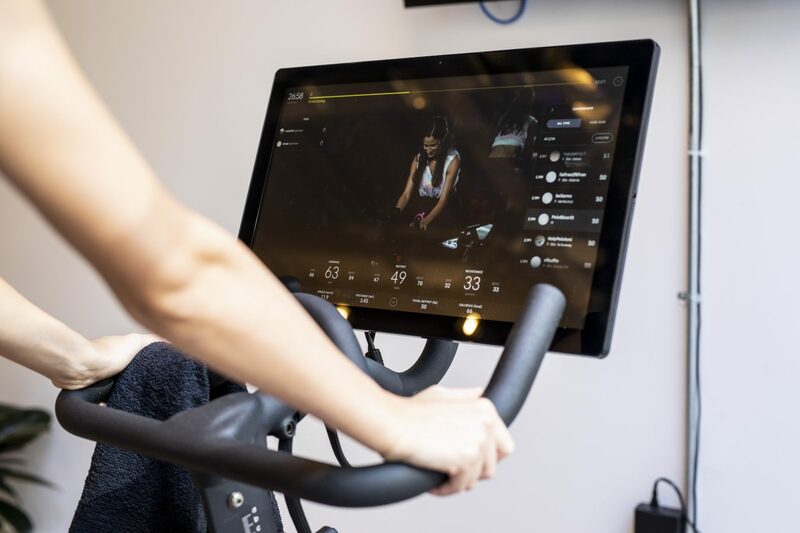 “It’s about that convenience and that accessibility of a great workout.” There is also the live-stream option, something seen never before with consumer fitness technology; there are 14 live sessions a day, all broadcast from the Peloton flagship studio in Manhattan. “We’re investing tens of millions in our studio in New York and in London because we want to make sure it’s a world-class environment,” Cornils says. 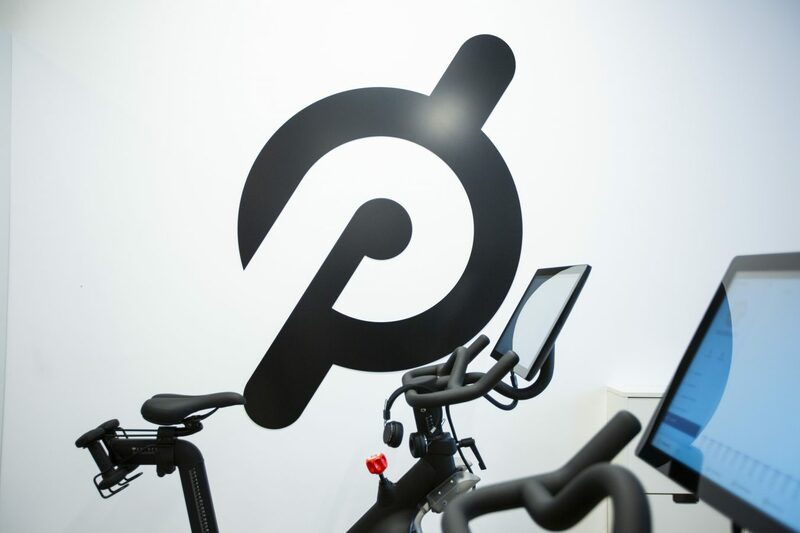 “It’s like doing 14 live TV shows a day.” Though London is opening soon with two Peloton instructors, New York’s Chelsea studio is filled with 40 to 50 riders while four video cameras zoom in and out on the Peloton instructor; meanwhile, an extensive production team is off in the background collecting feedback and data to help further Peloton’s user experience and interface quality. Rivalling any SoulCycle class, the static spinning is definitely challenging, helping to increase cardiovascular strength and tone the entire body over time. 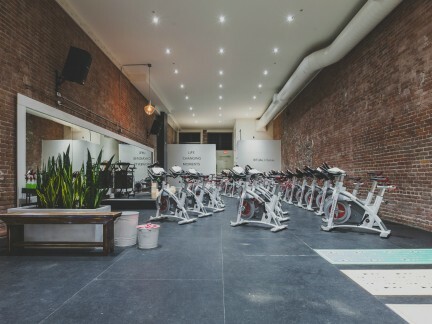 Though some will miss the club-like atmosphere and personal relationships formed at studios, Peloton has tried to address this with its exceptional instructors. 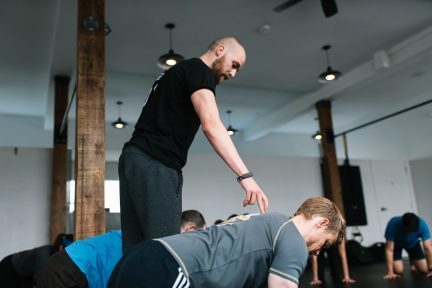 “Versus some other fitness brands that are a little bit more aggressive, we tend to be more positive in the way that we think about coaching and instructing,” says Cornils. 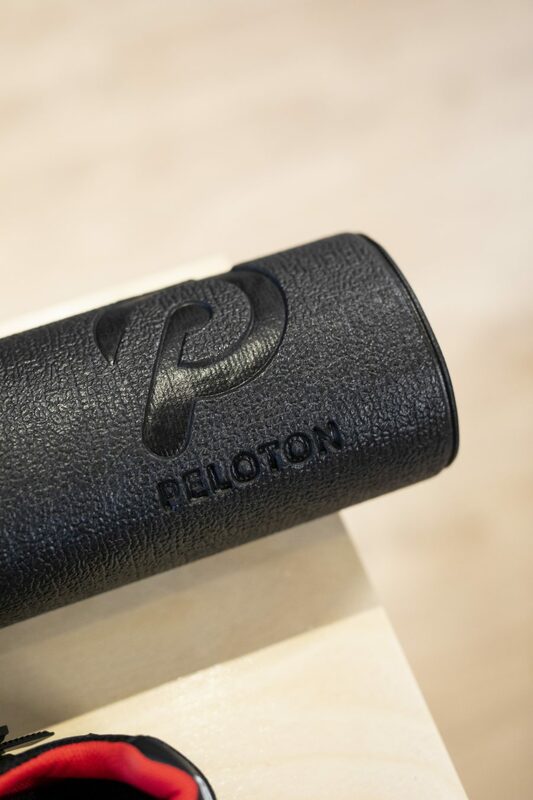 Peloton trainers are recruited from across the country, he says, and are required to have just as much performance capability as tenacity and athleticism. “I can see everyone that’s riding at home. I can see their leaderboard name, their locations, their names. I can see their numbers and where they’re ranked,” says very fit instructor Hannah Corbin with an infectious smile. She prompts her riders with tips like, “Keep your shoulders back” and, “Push through this hill,” and she emphasizes that the metric-inclined can also check out calories burned, cadence, and distance during and after the session. 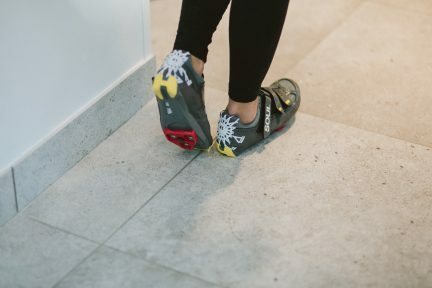 “The hesitation is: ‘Well, without the people around me, without the people in your typical group cycling, am I going to be working out?’ And the answer is, ‘Well, yes you are,’” she says. Corbin also mentions the relationships she’s seen form before her eyes, with online Peloton workout buddies travelling to the New York studio to exercise with her. According to Cornils, Peloton has 1 million members across its platforms in the United States. 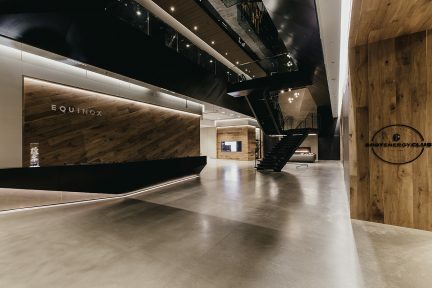 And while the Canadian arm is just getting started, the brand does have plans to open more showrooms across the country, including one in Vancouver when the right space comes up. For the fitness-obsessed or the just plain busy, Peloton offers a convenient experience that doesn’t sacrifice quality. And that is sure to get pulses racing.